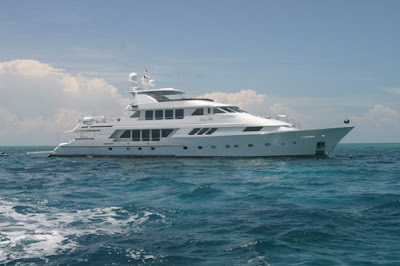 LADY BEE the 142' Christensen Motor Yacht is offering a special rate of "9 Nights for Price of 7" from July 23-August 19, 2013 with pick/drop in Bahamas with NO DELIVERY. $110,000/wk plus all expenses. Six staterooms that accommodates 12 comfortably. Loaded with water toys. There are 6 guest staterooms, (4) with queen-sized beds and one with twin. All guest staterooms have ensuite head and showers. Full entertainment centers in each stateroom.